Dr. Todd Waldmann is a founding partner and currently serves as President of Idaho Urologic Institute. He earned a BA in English from the University of Notre Dame and is a graduate of The Oregon Health Sciences University School of Medicine in Portland, where he also completed his residency in Urology. Dr. Waldmann is a board certified urologist and one of the leading robotic surgeons in Idaho. He performs robotic assisted prostatectomy, robotic and laparoscopic kidney surgeries, vasectomy, BPH surgery and kidney stone procedures. He specializes in the treatment of prostate cancer, kidney stones, kidney cancer, BPH and erectile dysfunction. Dr. Waldmann treats men, women, and children. He is married and has two young boys. He enjoys running, skiing, backpacking, travel, and thanks to his two young children, is a budding soccer enthusiast. Dr. Waldmann also enjoys adding fine wines from around the world to his growing wine collection. 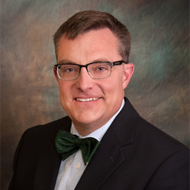 Dr. Waldmann is President of Idaho Urologic Institute. He is a member of the American Urologic Association, the Ada County Medical Society, and the Idaho Medical Association. Dr. Waldmann is a diplomate of the American Board of Urology. Dr. Waldmann has medical privileges at St. Alphonsus Regional Medical Centers, Boise and Nampa; St. Luke’s Regional Medical Centers, Boise and Meridian; Southwest Advanced Care Hospital; and Vibra Hospital of Boise. Dr. Waldmann sees patients in our Boise, Meridian, and Mountain Home clinics.